Thank you for visiting (our “Website”), which is owned and operated by TheRichSolution.com, Inc.
By submitting your PII to TheRichSolution.com, you are agreeing that TheRichSolution.com may collect, store, use, disclose and destroy it in accordance with this policy. In this policy, we refer to the companies in our corporate group as “TheRichSolution.com”, “we”, or “us”. We value every customer, prospective employee and employee and want you to trust our business and privacy practices. If you have any questions about the content of this policy, we encourage you to contact us as outlined below. We collect PII from you only when you voluntarily provide us with this information. Some examples of the manner in which we collect your PII include when you place an order through our Website or in our stores, register your TheRichSolution.com product after purchase, register an online account on the Website, set up a wish list, gift reminders, or address book entries, enter a contest, take a survey, contact us with a comment or question, request a catalog, sign up either online to receive emails or marketing communication about our TheRichSolution.com products and services, request to receive investor alerts, or apply for a job with TheRichSolution.com. Some of these methods of data collection are further outlined below. also use this PII to contact you in connection with other TheRichSolution.com products or services that we believe may be of interest to you. Again, you may unsubscribe from marketing communication at any time. If you receive your marketing by email, each email will have a single click unsubscribe button at the bottom. If you apply for a job with TheRichSolution.com, PII requested may include your qualifications for the position, your education, applicable licenses or certifications, prior job history, references, and any other information that you may choose to include about yourself. If you are accepted for employment, we will, of course, collect other relevant PII from you and include it in your personnel file with that collected during the application process. The PII that will be collected for purposes of your employment includes your Social Security number. While visiting certain portions of the Website, you may be given the opportunity to provide feedback regarding various TheRichSolution.com products or you may be given opportunities to rate TheRichSolution.com products and to publicly ask and answer questions pertaining to TheRichSolution.com products. In order to fully participate in these portions of the Website, you will be asked to provide your name and email address, as well as a created online username which will be publicly linked to your product ratings, questions, answers and other comments. TheRichSolution.com retains this additional PII, if provided, and uses it to help us better understand and respond to the collective feedback we receive. We may also invite you to participate in a survey or poll such as providing feedback on our Website site content, services, or products. Your responses will be anonymous unless you choose to provide your contact details so that we can provide you with additional information regarding the survey or poll. For any PII that we collect, TheRichSolution.com becomes the owner and data controller of that information. TheRichSolution.com also works with a third party vendor, Omniture to analyze web user’s browsing patterns on our Website. Omniture may place cookies on your computer to receive information about your browsing and purchasing activity on the Website, and help us to provide you with a more personalized shopping experience. We also may use a technology known as clear gifs to help us confirm your receipt of and response to our emails. If you wish to prevent further use of clear gifs in this manner, you can unsubscribe from our mailing list by clicking on the unsubscribe link at the bottom of any TheRichSolution.com email that you receive, emailing us at with your request to be removed from our email list, or by changing your preferences in your Account. When you visit one of TheRichSolution.com’s pages on a third party social networking platform such as Facebook, Pinterest, YouTube or Twitter, you may encounter social media plugins such as Facebook “Like”, Tweets, Pinterest “Pin” buttons, etc. When you use these social networking platforms and plugins, your username and password for the services and other information available about you or collected from you on these services may be shared with us. · if you submit a resume, we may use the information you provide solely for the purpose of evaluating you as a candidate for employment and to contact you about prospective employment. We may share your PII with our subsidiaries or affiliated companies, including those located in other countries. We also may share your PII with selected third parties who provide services to us, including to process payments, provide electronic online investor information, monitor Website activity, serve Website content, help to maintain our customer database, administer emails, surveys, or contests and administer and maintain employment application information. Such third parties may have access to, store and process your PII to provide services on our behalf, which may occur in the United States or in countries outside of the United States. Our service providers are not authorized to use your PII for any purpose other than to provide the services that TheRichSolution.com has contracted from them. We also must always reserve the right to disclose PII about you as required by law, in response to legal process including law enforcement requests, and where needed to protect the safety, property, or legal rights of the Company or its affiliates or third parties. TheRichSolution.com never sells any PII that you provide to us for use by any third party. However, from time to time, we may provide aggregate (statistical) anonymized information about our customers, sales, online traffic patterns and related information to reputable third parties who help us improve our business and services. These statistics do not include PII. From time to time, TheRichSolution.com may run promotions offering special deals, coupons, discounts, chances to win contests, and other prizes. These promotions may necessitate the involvement of third parties. 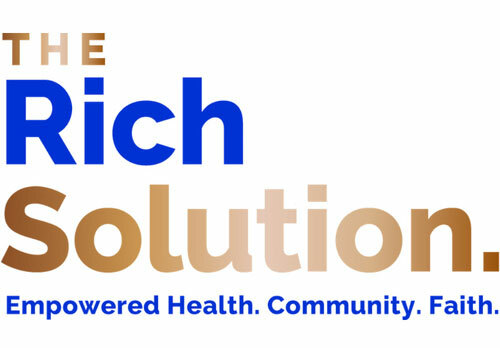 In order to participate in these promotions, TheRichSolution.com may require certain basic information about you, such as your name, email address, physical address, and age. This and other required information may be stored by TheRichSolution.com in order to help us better understand how we can design and market our products for you and others. This information may also be shared with third-party promotional partners involved in the specific promotion for which you signed-up. 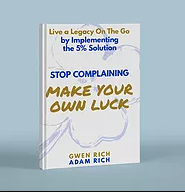 Unless otherwise stated in the terms and conditions of the promotion, your participation is not an automatic opt-in to receive marketing materials from TheRichSolution.com. Please note that we will likely require additional information from you in order to honor your request, such as to ensure proper authentication or to verify the business branch of TheRichSolution.com to which the information was provided. TheRichSolution.com follows applicable laws and requirements to protect and safeguard your PII. We have adopted physical, electronic, and administrative safeguards that are designed to protect your PII, by reducing the risk of loss, misuse, alteration, theft, unauthorized access, or unauthorized disclosure. For example, when you provide place on order on our Website, we use Secure Socket Layer (SSL) technology, an encryption tool that provides security while transmitting information over the Internet. We also use firewall technology, password controls, and other technological and procedural safeguards in respect of your online interactions with TheRichSolution.com. Under California law, if you are a resident of California, you are entitled once per year to request and obtain certain information regarding the Company’s disclosure, if any, of your personal information to third parties for their direct marketing purposes during the immediately prior calendar year. To make such a request, please send an e-mail to with your full name, e-mail address, and postal address in your message. In response to your request, the Company will provide you with a notice describing the cost-free means to opt-out of our sharing your personal information with third parties with whom the Company does not share the same brand name, if the third party will use it for their direct marketing purposes. Following any incidence of communication from you to TheRichSolution.com some of your PII may be retained for a period of time for financial, legal or technical reasons. This Website is not intended for use by children under the age of 13. TheRichSolution.com adheres to the Children’s Online Privacy Protection Act and we do not knowingly register or otherwise collect PII from any child under the age of 13 without the prior verifiable consent of the child’s parent or guardian.